RIVER of life International Church congregants were left counting their losses after six cars were reduced to ashes when a fire broke out at the church’s premises on Tuesday night. The fire broke out at around 8PM and the fire brigade arrived when the six cars were already in flames. 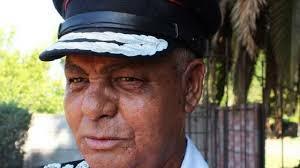 Bulawayo Chief Fire Officer Mr Richard Peterson confirmed the incident yesterday. He said the estimated value of lost property that includes structures and the six cars that were burnt is about $300 000. “We received a call at 8:33 PM on Tuesday night and our officers attended the scene. Only one car, a Toyota Atlas was salvaged. The fire broke out in a shade which divides the church premises and Innscor premises in Belmont,” said Mr Peterson. He said they were still investigating the cause of the fire. “At this point, we certainly cannot rule out a case of a discarded burning material. However our investigating officers are still on the ground,” said Mr Peterson. Efforts to get a comment from the church officials were fruitless yesterday. Last week, nine cars were reduced to shells following an explosion at a vehicle workshop in Bulawayo’s Thorngrove suburb.